Our party menus are perfect for all kinds of celebrations - from baby showers, to hen dos, weddings, to family gatherings and birthday parties. We pride ourselves on bringing you both high quality food and attentive, personal service, whether you'd like us to be "hands-on" or stay in the background. Whatever you choose, we'll work closely with you to create a heart-warming, fun and stylish occasion, with the emphasis on each of your guests feeling happy and looked after. 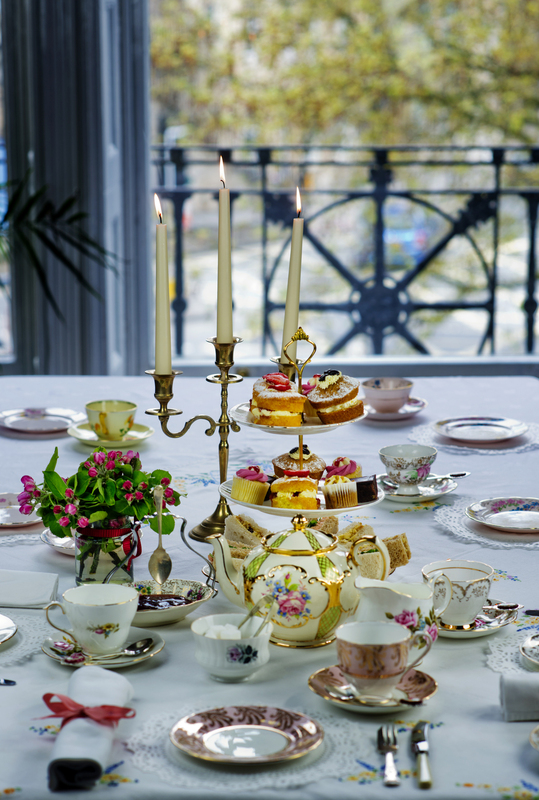 We can either provide a classic afternoon tea with sandwiches, tea and cake, served and set up in a more formal, seated style, or create one of our special entertaining tables for you, from which we can serve lunch/High Tea, comprising quiches, salads, sandwiches and large cakes to slice, without or without service and china hire. We can also deliver catering only, to save you the time and stress on busy days and organise a cocktail bar to come and serve at your event. Do get in touch, we're looking forward to being party of your wonderful occasion.